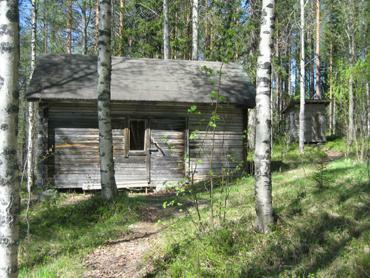 Former loggers cabin situated by small lake Pieni Hakojärvi. 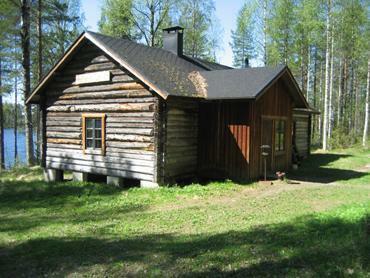 Cabin has two rooms (other with 4 bunk beds and other with a bunk bed) and kitchen (with a bunk bed), wood-heated iron stove heating, gas lights and candle lighting. Beach is fairly good, lakeshore- and smoke saunas, boat, dock and site for open fire. 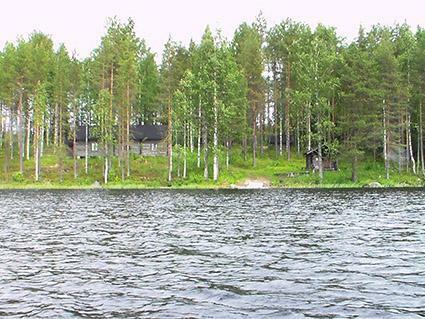 Distances: Kuhmo 55 km, shop 55 km, bus stop 15 km, Kajaani railway station 155 km. 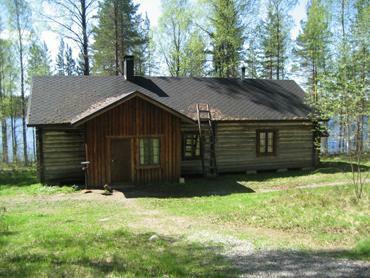 Cabin is located close by snowmobile route. 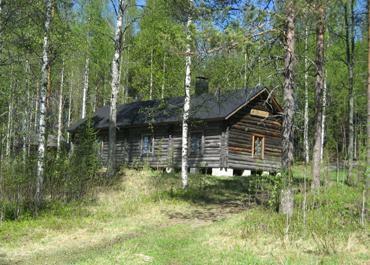 Cabin can be reached by car during the summer, distance in winter 9 km (from maintaided road).